Make the most of your money with our sweep service. We'll automatically sweep excess funds from your checking account into a higher-interest account. Your excess cash will transfer into an interest-bearing account, where you'll earn interest on otherwise idle funds. Should withdrawals cause the balance of your checking account to drop below your threshold, funds will automatically transfer back into your checking account to cover the deficit. The checking account balance range is designed to ensure that the money market account operates within the transaction limitations described below1. 1Automatic transfers into the Power Money Market are unlimited; however, for Money Market Accounts, federal regulations limit the number of preauthorized withdrawals to no more than six (6) per monthly statement cycle. Each withdrawal in excess of these limitations is subject to a $10 penalty. Accounts that exceed these transaction limitations on more than an occasional basis will be transferred to another account type or restricted of transfer and draft capabilities. 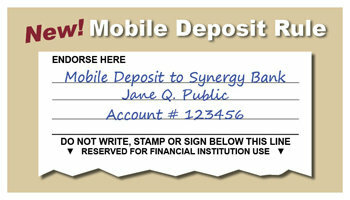 Over-the-counter (in person) transfers out of the Power Money Market account are unlimited. Should all six automatic transfers out of the Power Money Market account be used and additional transfers are required, they may be done in person at the bank.